Some people walk around constantly feeling fatigued or indifferent toward life, believing that apathy is simply a daily part of existing. Being overworked is one thing, but continuous symptoms of weakness, fatigue, or dizziness could actually be signs of an iron deficiency. Liver: Four ounces contains 9.5 mg of iron. 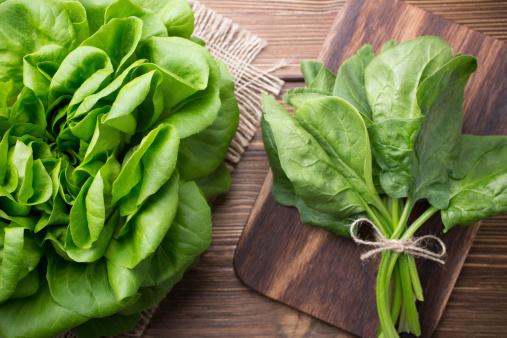 Spinach: One cup contains 6.6 mg of iron. Lamb: A three-ounce piece contains 1 mg of iron. Chickpeas: One cup contains 4.7 mg of iron. White beans: One cup contains 6.6 mg of iron. Kidney beans: One cup contains 5.2 mg of iron. Duck: Half a duck breast contains 3.7 mg of iron. Sardines: One can contains 3.7 mg of iron. Grass fed beef: Three ounces contains 2 mg of iron. Swiss chard: One cup contains almost 4 mg of iron. The Centers for Disease Control and Prevention defines iron deficiency as the top nutritional deficiency in the entire world. People in developing countries are more prone to iron deficiencies, but it is extremely common in the U.S. as well. Women who have heavy menstrual periods are more vulnerable to iron deficiencies. In the U.S., the number of people that visited a hospital emergency department in 2011 with anemia listed as their primary discharge was 237,000. In most cases, the visits were from people who were unaware they even had an iron deficiency. In 2011, the percentage of people who were diagnosed with some form of anemia was approximately 10%. In 2011, the number of discharges for first-time anemia diagnoses was 392,000. The average length of stay per patient was four days. The mortality statistics for anemia or iron deficiencies in 2011 were 4,894; this worked out to about 1.5 deaths per every 100,000 Americans. If iron deficiency anemia is left untreated, it can lead to severe heart problems, chest pains, or even fainting. Without iron, the blood cannot properly carry oxygen to the heart and brain, which will eventually cause both to slow down later on. Untreated iron deficiency anemia can also cause the immune system to become weak, to the point where infectious diseases will become more frequent. If you believe you have an iron deficiency, make sure to visit your doctor to get tested. “Anemia or Iron Deficiency,” Centers for Disease Control and Prevention web site, April 8, 2015; http://www.cdc.gov/nchs/fastats/anemia.htm. “Iron,” The World’s Healthiest Foods web site; http://www.whfoods.com/genpage.php?tname=nutrient&dbid=70, last accessed May 14, 2015. “Iron deficiency anemia,” MedlinePlus web site; http://www.nlm.nih.gov/medlineplus/ency/article/000584.htm, last accessed May 14, 2015. Pullen, L.C., “USPSTF: Evidence Lacking for Iron Deficiency Screening,” Medscape web site, March 31, 2015; http://www.medscape.com/viewarticle/842404. Rogers, R., “Signs and Symptoms of Low Iron in Women,” Livestrong.com, April 13, 2015; http://www.livestrong.com/article/408169-signs-symptoms-of-low-iron-in-women/.